After a posting of 4½ years in Spain, Josien experienced reverse culture shock when repatriating back to the Netherlands. Both of her children were born in Spain, and are proud little TCKs. Her family also experienced a split family situation for three years, with her husband working in Vienna and France. Currently, they are exploring life in South America, whilst on assignment in Montevideo, Uruguay. 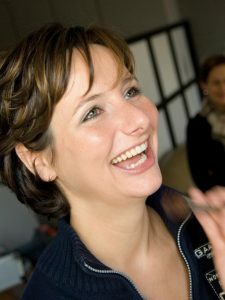 Josien’s first role with Global Connection put her media knowledge to good use, through publishing the magazine, for which she frequently commuted between Spain and the Netherlands. Josien now works for us as a Consultant, supporting expat partners in finding a fulfilling pastime. When not working, she enjoys family time and sports.